"AWS service for converting Text to speech :- Polly"
AWS Polly provides more than seven different voices out of which for female voice there are 5 options and for male voice there are 3 options available. Also they are providing so many languages as base. AWS Polly also provides SSML. SSML is Speech Synthesis Markup Language (SSML). With SSML tags, you can customize and control aspects of speech such as pronunciation, volume, and speech rate. I have not find anything wrong till now as they are providing best service and keep updating their services if they found any error or bug . I would like to recommand Polly to them who are using Lex and want to communicate with their users in batter way . We were finding some issues while using Lexicons. But after contacting to support team they set up whole and solve our problem within some hours. The speech output generated by Polly is very human-like. It included the nuances and subtleties when a human speaks. This gives a life-like touch to it. It is quite easy to use and offers few variations in the speech. The pricing for this service is the lowest compared to other cloud service providers. It can be used effectively outside the AWS environment only. A very limited range of voices and languages only offered. Used in building a chatbot. By using Amazon Polly we can convert the text to speech. 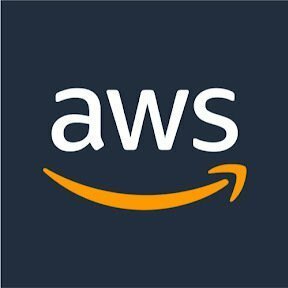 "Amazon Polly : The talking software"
Multiple voice options based on gender and region make it a awesome tool.It feels like a human is speaking. .
Its comes as a part of AWS and this makes it not easily accessible to all developers without on-boarding into AWS that requires credit card.So AWS account becomes a must to use this tool. Realtime text to speech conversion feature and pay as use has given the advantage of using this amazon service as a best choice for cost effective voice enabled apps. "One of the coolest softwares in the digital age"
I love the simplicity of using Amazon Polly. Like most Amazon products, Polly is very user-friendly and simple to use. Occasionally you will type in a name or a slang word and Polly will mispronounce the word. This can be frustrating if there is not a synonym for the word you're trying to use. If you are in need of professional voice services, this is a must. Especially for the price. I use Polly for YouTube videos and instructional videos with my company. Instead of having to record and re-record a human voice with mistakes and poor quality audio, we can have high-quality grade narrations! I love Amazon Polly, i love used it an my business. I did not dislike this tool, it was very helpful an the health that i was in at that time. I was able to communicate with people an a better way and also was able to make this tool useful with everyday used. I enjoy the freedom of voice activated commands. The set-up process is a bit lengthy. The step-by-step process appeared repetitive. Also, background noise must be halted completely while submitting voice sample. This is not always easy if one is located on a floor of a call center. The time-saving steps involved, less keyboard use. It has been beneficial by allowing users to save time by use of voice activation. The ease of use to learn and get started with. The console is a great way to get a feel for the product and using the API is almost as easy! Not much! I would like to be able to extend the SSML spec so that I can perform things like character/voice switching. Voice synthesis as part of spoken word products such as podcasts and news articles. We have been able to provide inject dynamic and personalised content in near real-time. I work with students that have multiple disabilities that don't allow them to partake in their class work with typically developing peers. This tool has allowed them to express their ideas without the restraints they normally face. I only wish that there were more features that allowed the use of different electronic devices to be used. I have realized that this is a tool that can be used by school districts to a larger degree. Definitely does the job; it is a great text converting service, and I appreciate the customization and control settings flexibility. They do have a very large variety of language and settings options. Not enough choices for voices and definitely language options are scarce. Affordable and it works. Just know what the expectations are before investing too much. Converting text for a chat bot. "Greaat resource for converting text"
It allows you to convert text to speach. Do as much research as possible before you start using to make sure it supports your business plan. Make sure you have the right local resource requirements. Students who are having trouble seeing or reading something, this allows me to convert my lesson plans to help them. "Its very handy to use amazone polly and can be use while doing some another work as well." We have field force and while doing some another activity they can easily translate what they want to .Our customer can also use when they want to change text to speech. "Great Experience for a brief introduction"
There are some issues from language to language. I like that this is an intuitive tool that is wise beyond its years. I hope there will be an iPhone app! One day I’m sure there will be ease of access for all. Even in our school systems. Breaking through language barriers allowing a unique experience. "Promising for our Connect POC bot"
The contribution Polly makes to a natural speech bot is very exciting! Nothing do far. It meets our needs and I look forward to development. * We monitor all Amazon Polly reviews to prevent fraudulent reviews and keep review quality high. We do not post reviews by company employees or direct competitors. Validated reviews require the user to submit a screenshot of the product containing their user ID, in order to verify a user is an actual user of the product.